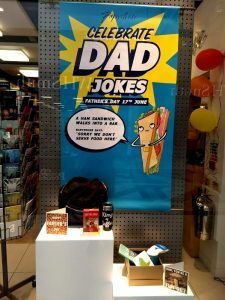 Wimbledon’s shops have loads of great gift ideas to make this Father’s Day a special one. 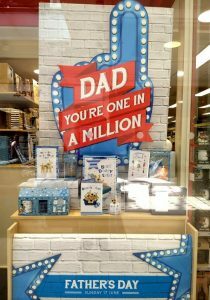 Shop from a large selection of cards at Clintons , Paperchase, or WH Smith in Centre Court Shopping or from the card section in Elys. 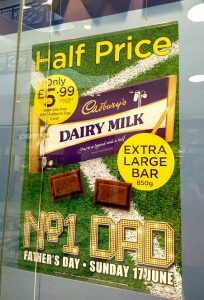 As an added bonus, buy your card from WH Smith and get an extra large Cadbury’s bar (usual price £11.99) for only £5.99! 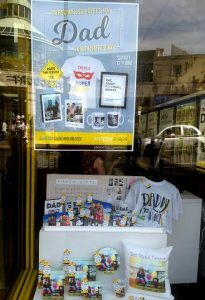 Make your dad a personalised gift this year with t-shirts, mugs, canvases and cards all up for grabs at Snappy Snaps. 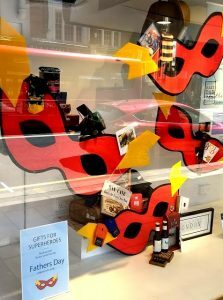 ‘Because Dad always saves the day’ Elys Wimbledon is treating all Superhero dads with a range of great gifts in store from ‘Man Cave’ signs, Wimbledon Brewery gift sets, the always popular socks and handkerchiefs and much more. 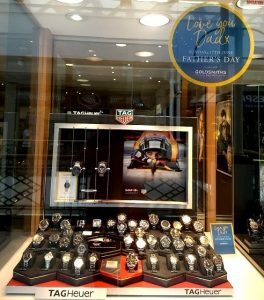 Goldsmiths in Centre Court Shopping has a fine array of watches to choose from for a special Father’s Day gift. 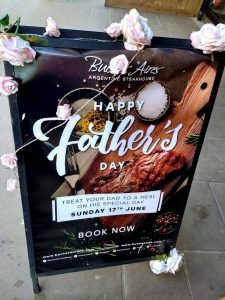 Buenos Aires has a few tables left to book for Sunday – the perfect place if your dad’s a big meat eater! 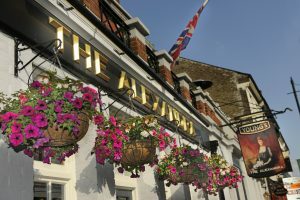 ‘A pint on us’ for all dads brought to The Alexandra Pub on Father’s Day.